Artisteer is the first and only Web design automation product that instantly creates fantastic looking, unique Drupal Themes. Drupal is one of leading content management systems for organizing and displaying website content. With Artisteer you instantly design professional Drupal themes without having programming skills or knowing Photoshop, Dreamweaver, HTML, CSS and other web design technologies. 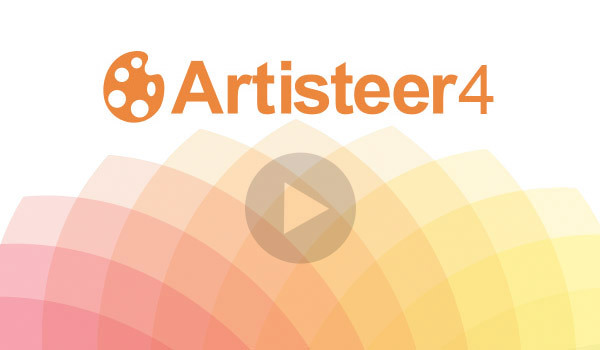 Artisteer allows you to take control over your website design, and manage and customize your themes to your taste. 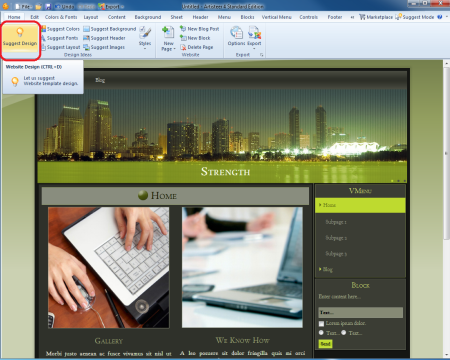 Modify theme design elements, including the layout, header, background, fonts, and more. 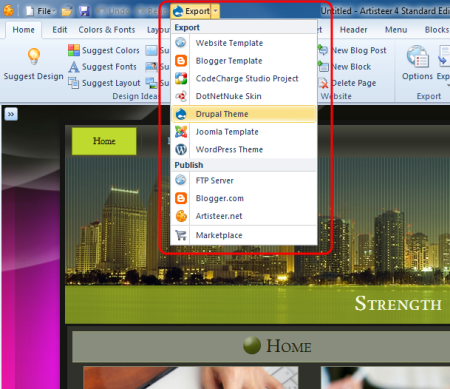 Export your theme, then upload theme files into the newly created theme folder within your website. 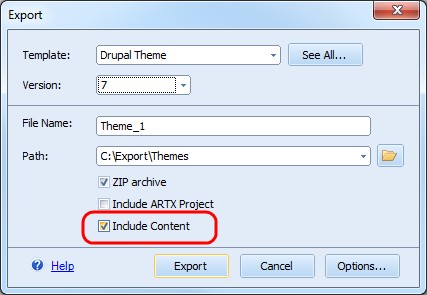 In Artisteer 4 you can also export your theme content to Drupal. For this please enable "Include Content" before exporting the theme. In the Drupal Administration (Administration -> Appearance -> Themes) upload your theme and select it from the list of available themes. Congratulations on your great looking site powered by your Drupal theme created with Artisteer! For more information refer to how to use drupal themes.